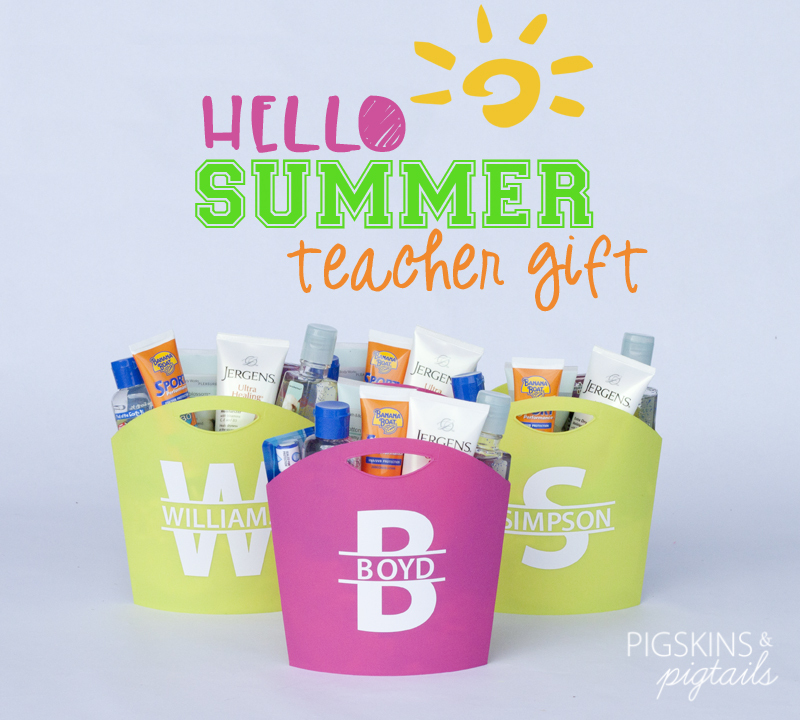 These fun summer gift containers were a big hit! 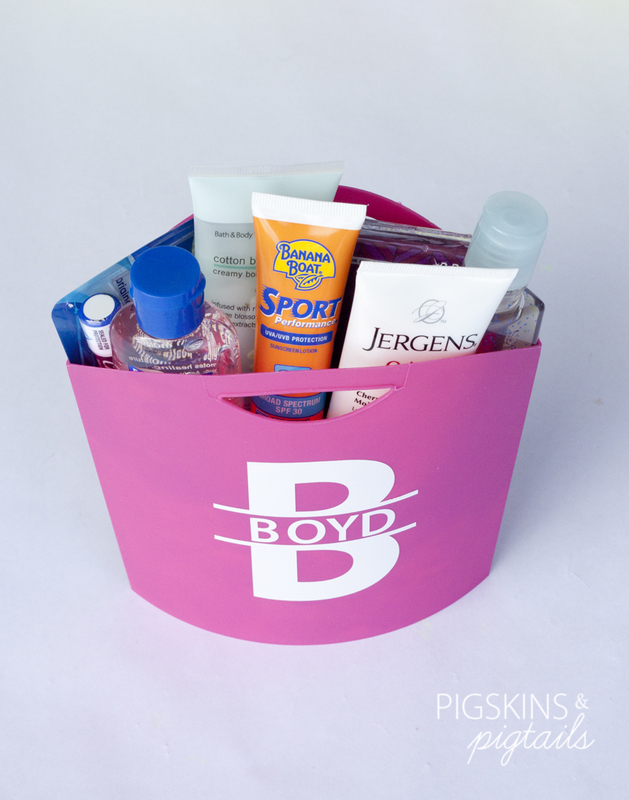 They included purse-size summer essentials – sunscreen, aloe, lotion, chapstick, hand sanitizer and gum. I added personalized vinyl decals to each container (available in my shop) and wrapped them with cellophane and attached these Hello Summer tags.